At bartlett mitchell we are not just passionate foodies, we are equally in love with all things green and sustainable. Green is a current buzz word, but what does it really mean? Green to us is about our strong commitment to our corporate, social and environmental responsibilities in all that we do, as Wendy, Executive Chairman, puts it ‘As a fresh food business, everything we do depends either directly or indirectly on our natural environment’. One green action we take is to hold Green roadshows at every restaurant. This creates a time for customers to ask questions and to hear more of our CSER credentials. How they are changing lives in Malawi by helping to build water pumps by buying our bottled thirsty planet water. Perkee our social enterprise coffee is transforming a part of Nicaragua through the Soppexcca co-operative where local communities are learning about business and making savings for the first time in their lives. Perkee recently won the Eat Out awards 2017 for best new brand. Being the first contract caterer to win this award amongst the likes of high street brands Yo Sushi, Pho and Nando’s makes us incredibly proud. The Perkee team have also just won the FSM Marketing award 2017. Miguel our coffee brand expert created a Barista competition earlier this year for teams to ensure standards are kept high for every single cup. This award-winning coffee is an all-around star. And it happened because everyone played their part in it’s success. Raising awareness is key, everyone can do their bit. Customers are all different and they all have different interests. For example, if you know why we choose to sell Fairtrade or free range you make informed decisions about where to source produce. As a proud hater of food waste, I have discovered a free app called ‘OLIO’. The last post I saw was a lady from a local delicatessen who had posted that she had 10-15 loaves of artisan bread to give away that day. What a great idea to tackle food waste? Do check out more on olioex.com. If gardening is your thing, use coffee grounds to add nutrients to your plants, put a beehive in your garden to attract bees to encourage pollination. Otherwise if food is your thing, look at healthier ways to cook from scratch. Grow your own herbs or vegetables. The Food Wellness Industry sits very comfortably under the Green umbrella! Lastly, a lovely story on ‘The People’s Fridge’ in POP Brixton where local restaurants, retailers or individuals donate excess food. Anyone, anytime can pick up this food to take home and use. The only condition is that no judgement of users is allowed! Green opportunities are simply everywhere. 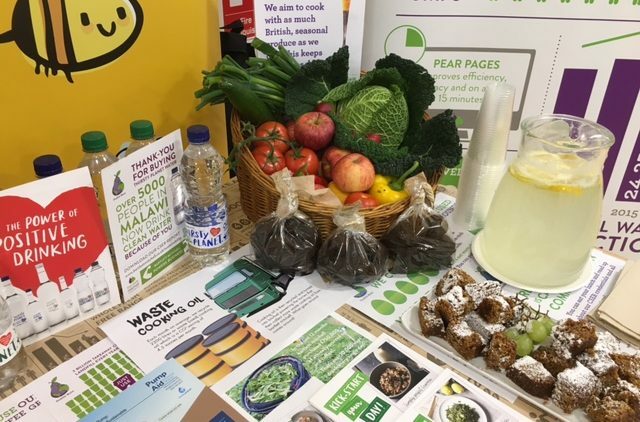 Amongst other bartlett mitchell green actions we actively support the British Bee Keeper’s Association, have ‘Waste-ed’ workshops where our chefs learn creative cooking that avoids food waste. It could be using different cuts of meat or using fruit and veg pulp for veggie burgers, the list goes on! Why not have a look at our CSER report whilst we are still in 2017?